There has been a Boys' Choir at St Alphege for hundreds of years and it is good to see the choir still flourishing today in an age where many churches have decided the tradition is now impossible. There are spaces for sixteen boys in the choir as well as four probationers (choristers in training): these places are contested for by competitive audition. There has been great success in the Boys' Choir over the years with many boys attaining the St Nicholas Award (the highest award presented by the Royal School of Church Music) and grade eight on many instruments - boys are encouraged to learn an instrument during their time at St Alphege. The talents and discipline taught at St Alphege prepare a chorister for later in life and have allowed many to pursue scholarships at Oxford and Cambridge. Famous choristers of the past include Iain Simcock, Nigel Short and Christopher Monks (Director of the Armonico Consort). The boys have a structured week of rehearsals and services but much emphasis is also placed on fun and making friends through regular trips and holidays. During this summer, the boys spent a week in residence at Chichester Cathedral. Next year they will visit Portsmouth to sing and they will also have trips to places such as Alton Towers and Laser Quest. Music lists can be found here. The boys can gain extra training during school time and we work to the same holiday pattern as school terms. 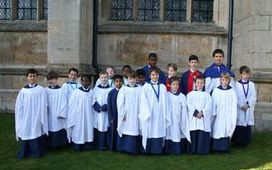 Should your son be interested in joining the Boys' Choir you should endeavour to attend a Sunday evening service at 6.30, afterwards you can talk to the Director of Music, Joe Cooper, and your son can meet the head chorister who will introduce him to the other choristers. From this meeting an informal audition will be arranged at which we can provide the best possible advice for you and your son. 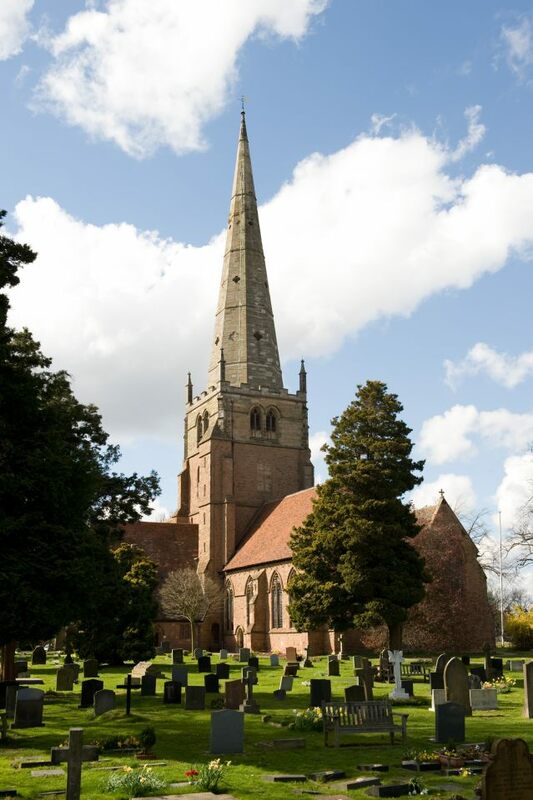 Director of Music - Joe Cooper - 07935 962677 - joe@solihullparish.org.uk. The Girls' Choir was founded in 2002 and has since seen many choristers achieve greatness, such as Alice Halstead who won the prestigious BBC Chorister of the Year award in 2008, and is now a Choral Scholar at Cambridge. 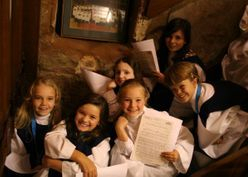 There are places for sixteen girls in the choir and four probationers (choristers in training). These places can be gained through competitive audition. Girls tend to join us from the age of eight and sing with us until the age of eighteen; it is a great place to make friends and support one another. The girls follow a pattern of rehearsals and services each week and occasionally sing away. This summer the girls undertook an independent tour to Rochester Cathedral for a week and next year they will Llandaff. There are regular social activities and choir soon becomes a central focus to the girls' lives, a part of the week to which they look forward. If you and your daughter are interested in finding out more about St Alphege Girls' Choir, contact the Director of Music, Joe Cooper, on 07935 962677 or joe@solihullparish.org.uk. You will be advised to attend a Sunday service where you can meet the other girls in the choir and from there an informal audition will be arranged to assess your daughter's voice. The countertenor, tenor and bass parts of St Alphege Choir are provided by the Men's section of the choir. The men regularly sing with the Boys' Choir at two services each Sunday but occasionally sing with the Girls' and Ladies' Choirs too. There is a great diversity in age and background, but through the joy of music making, very different people have made friends for life and gained a hobby that is essential for the person. Our choral scholars tend to come from the treble line and join us typically at the age of eighteen. There has been recent success with our choral scholars gaining scholarships at St John's Cambridge and Keble College Oxford. Some choral scholarship positions are paid professional positions: for more information look under Vacancies. Some men have sung in the choir since they were boys; one man has been in the choir for sixty years under five directors of music. The men work hard preparing varied music to high standards but can also be found in the pubs of Solihull after rehearsals and services. We currently have four countertenors, four tenors and six basses, but new voices are always welcome by audition into any section. Current music lists are available by following the links at the bottom of the page. The Ladies' Choir is primarily made up of parents of current and former choristers. They come together each week to sing in a non-pressured environment. There are ladies of many ages and backgrounds but each with a passion for music; some are skilled instrumentalists and some have higher qualifications in music. The ladies sing by themselves and sometimes with the men. See the links below for the current music lists. Rehearsals are at 7pm on Thursdays on Fridays. For more information please contact Joe Cooper on 07935 962677 or joe@solihullparish.org.uk. Click here to download a PDF of our choir leaflet or contact us for printed copies. Follow us on Facebook for updates on our activities, services and music.